Using the GoDaddy Email Marketing Date Triggers feature, you can send out emails to your subscribers, based on a calendar date in their contact details. This is a great way to send out a Happy Birthday, Anniversary, or holiday announcement -- or even an appointment reminder! How do I access Date Triggers in my GoDaddy Email Marketing account? 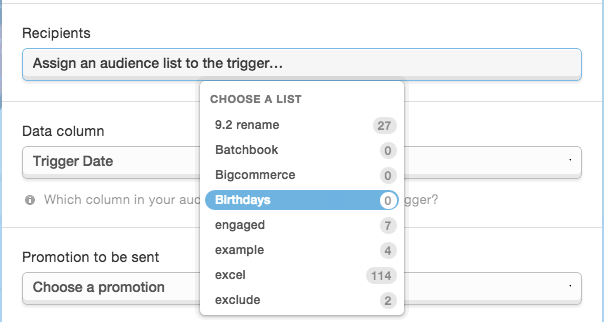 It's super easy to activate the feature, and set up as many date triggers as you would like. Just click on "Add things" at the very top of any GoDaddy Email Marketing screen, and then scroll to the "Triggers" option. Turn it on, and click the "Go set it up" link. When you first access your "Triggers" area, it will be blank. You can access the Triggers area, at any time, by clicking on the white "Triggers" link in the top right of most GoDaddy Email Marketing pages. Important: Before you get started with Triggers! -- Make sure you have the campaign you want to send on the trigger date, already created on the GoDaddy Email Marketing Campaigns page. Pro Tip: Each trigger that you set up will send every year, on that date -- no matter what the year is that's entered in the field. So, if you are using this for appointment reminders, for example, just remember to delete the date from your subscriber's details, after the email sends once. How do I set up a New Date Trigger? Head to your Triggers area, and click the "New Trigger" button on the right. You'll get a two-step overlay window, to set all the details you need, for your new Trigger. On the first step of the Trigger set-up, you first need to name your Trigger. This is just for your own purposes, your subscribers won't ever see this name. 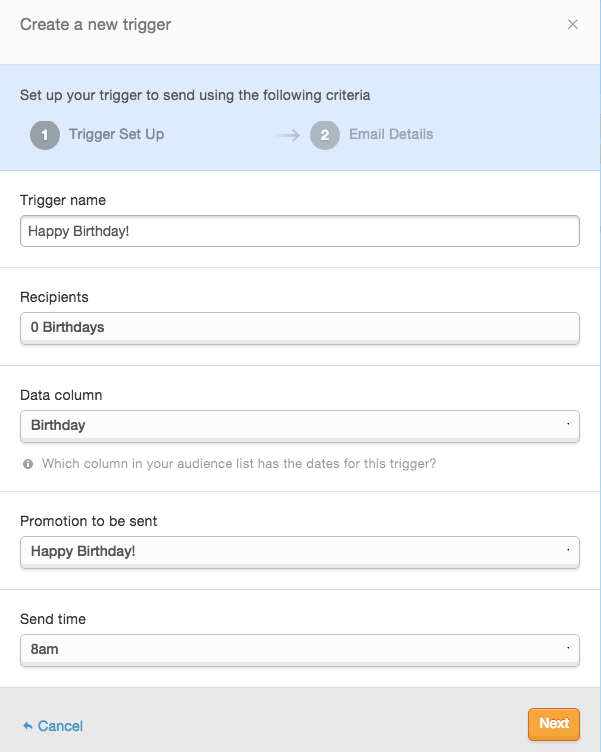 The next option is to choose the campaign that you want to send, when the date trigger is reached. This is any campaign on your GoDaddy Email Marketing Campaigns page, so just select the proper email from the "Campaign to be sent" dropdown. You do have to create the campaign before you can save the Trigger, so be sure to create at least a draft of the campaign, before you set up your Trigger. Lastly for this page, just choose the time you want the Trigger email to send. You can pick any full hour, from the drop-down menu under "Send time". 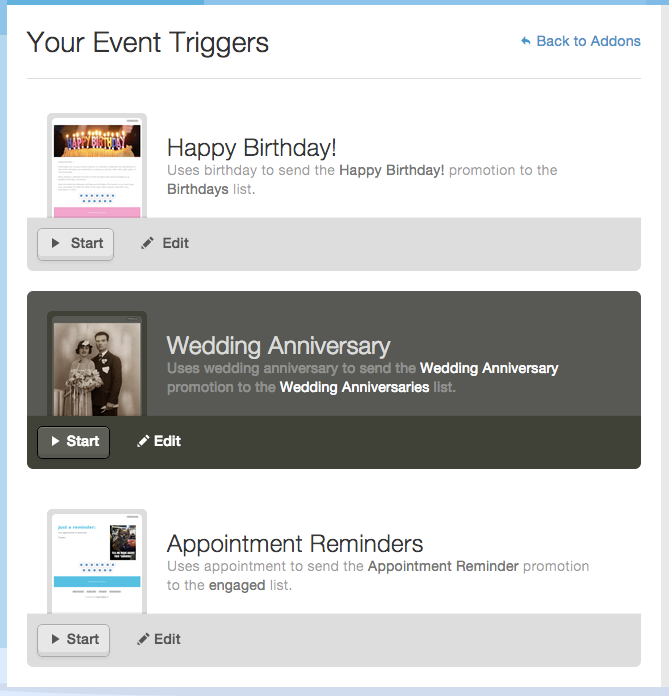 The second step of setting up your Date Trigger is the mailing details for the actual email that goes out. Just set your 'from' name, and email address -- this will show up as who the email is sent from, in your recipients' inboxes. Make sure your subject line is set to what you want to show on the email that's received. And be sure that your "Enable link tracking" option is selected. This will let GoDaddy Email Marketing report back all the stats from these Trigger emails. If you untick this option, GoDaddy Email Marketing will not report any statistics on these mailings, at all. 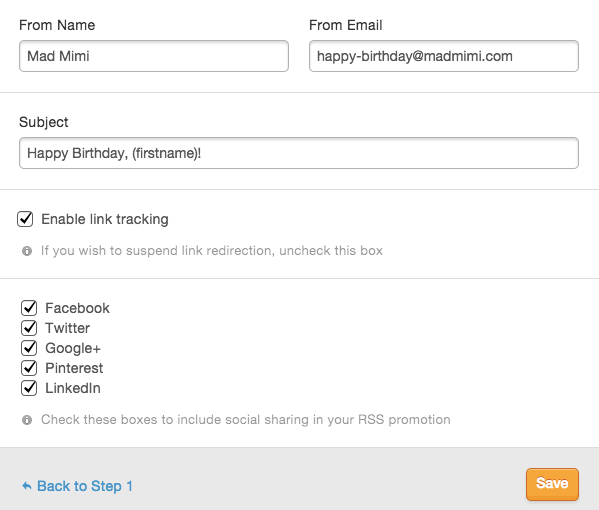 Then you have the option to include the social sharing links, at the top of the email, when it sends. Just choose all the platforms on which you want to allow your subscribers to share this email. Click the "Save" button at bottom right of the page, and your Trigger is saved! Step 3: Start Your Trigger! You'll now see your Trigger, all set up and ready to go, but you've got one more step! Your trigger is saved, but it's not quite live, yet. Just click the "Start" button at the bottom left of the Trigger, and your Trigger will be live. You'll see the "Start" button, change to a "Pause" button. 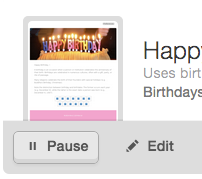 You can stop your Trigger emails, at any time, just by clicking this "Pause" button. You can set up as many Date Triggers as you want, for all different date-related uses! You'll see all your Triggers in your Trigger area, listed in the order that you've created them. You can see a preview of the campaign, a lot like back on your regular GoDaddy Email Marketing Campaigns page. The Trigger Name is listed, and GoDaddy Email Marketing tells you which data column this Trigger uses, which campaign it sends, and to which list. you'll get to see a full preview of that campaign. you'll go directly to that list, in your Subscribers area.